Putney in 1647 was a small Thames-side town of about 900 people, strung out along the High Street and the nearby parts of the river bank. 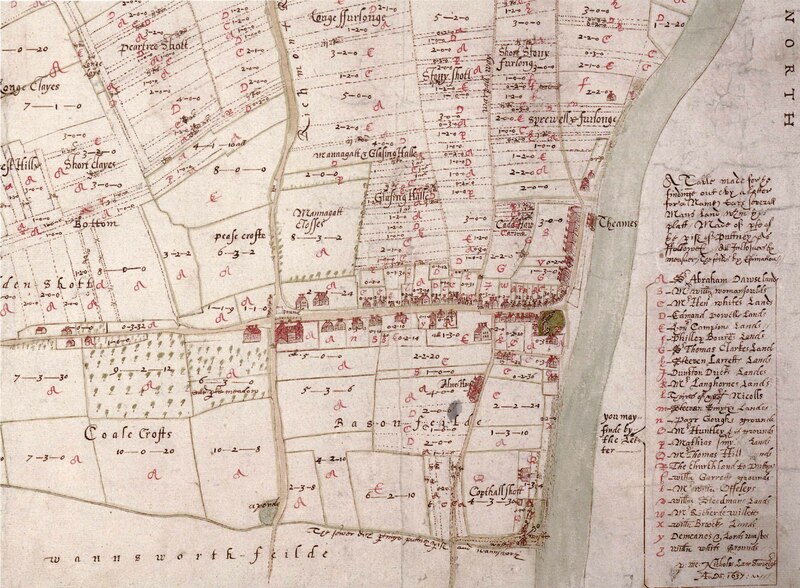 Its closeness to London, just six miles away and easily accessible by horse, coach or boat, not only attracted the Army in 1647 but also largely determined the character of the place. Putney was an ideal location for the Debates; easy access to London, whilst maintaining a healthy distance between parliament and the army. Although he did not take a significant role in the Debates, the fiery local preacher Hugh Peters (one of the founders of Harvard University) who often preached at Putney, was Cromwell’s chaplain. The church was crammed with pews, many of them reserved for the occupants of the great houses, and was designed to enable people to see and hear the preaching of sermons delivered from a pulpit, rather than for large numbers of people to hold debates. 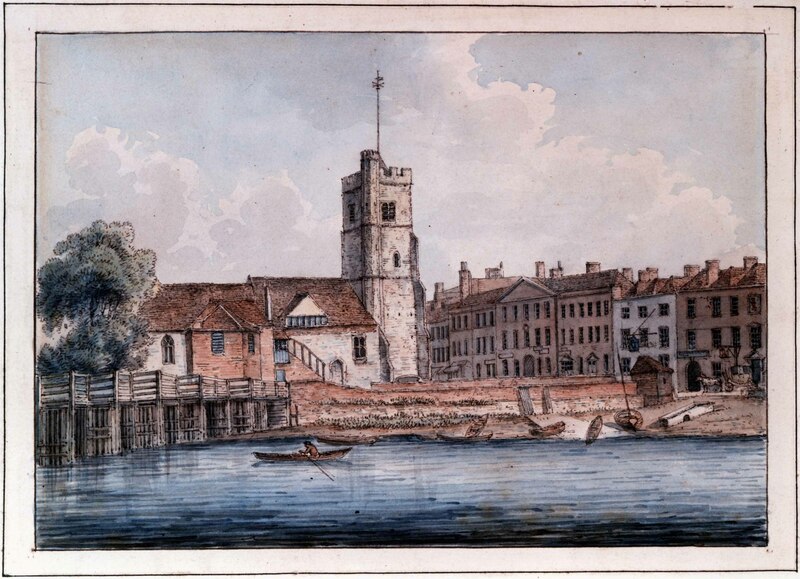 Putney’s church, St Mary’s, stood by the river. Its successor still stands there (by the bridge), and the tower, Bishop West’s chapel (re-sited) and three of the columns (heightened and re-sited) have survived from the church used by the Army in 1647. It had been greatly restored 20 years earlier, when the first of many galleries was added to cope with the rising population. Putney's closeness to London largely determined the character of the place. One aspect of this was that about 40% of the householders employed locally were described as watermen. The other aspect of London’s closeness was that it attracted gentlemen, office-holders and merchants, who occupied the 16 or so large houses and tended to use them as summer houses or for long weekends. The inhabitants of these houses dominated the town, owning most of the land, employing most of the people, either as servants or tradesmen, and controlling the parish vestry, which dealt with matters such as poor relief. The watermen worked on the cross-river ferry to Fulham (there was no bridge yet), on the long ferry to London and in goods transport, and the Army must have provided good business for them.